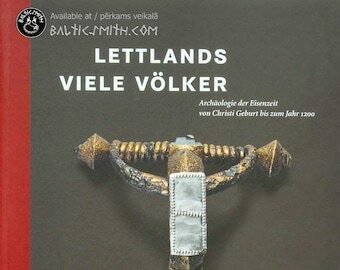 This calendar features images of twelve distinct ethnographic belts from all regions of Latvia. 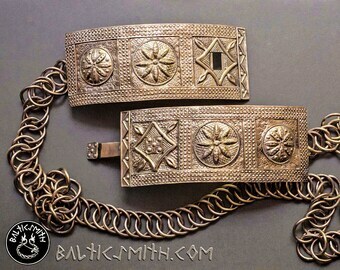 Close-up detailed images of belts in various techniques from card/tablet and inkle/backstrap weaving to beading, leather, and fabrication and chasing in brass/bronze. 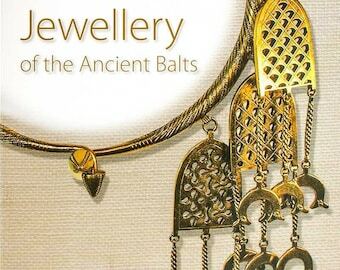 Descriptions by Anete Karlsone. This publication is part of the project "Katram savu tautastērpu!" (A national folk costume for each of us!) sponsored by the Latvian Ministry of Culture in honor of the centennial of the Republic of Latvia in 2018. 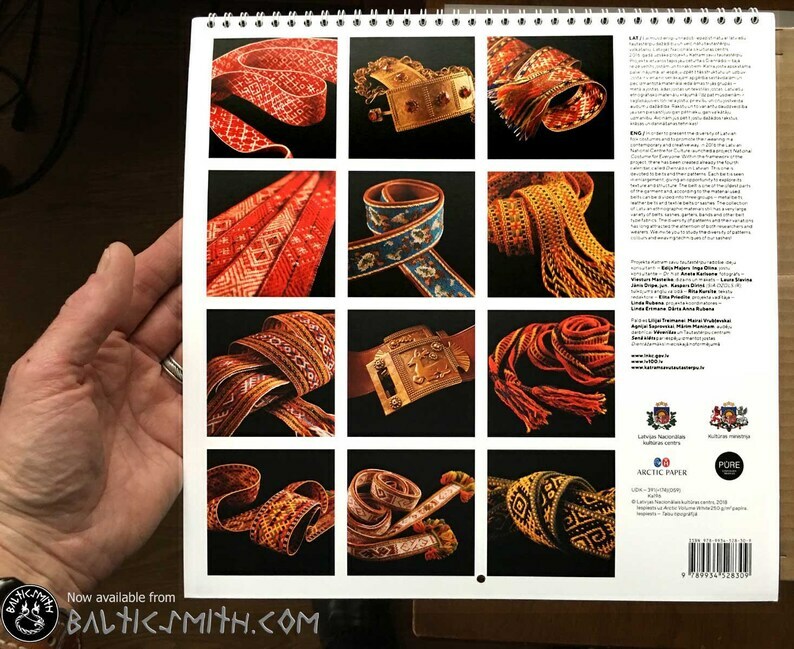 Each of the twelve images is presented three times: on one side of the page alongside the calendar, on a full page, and as a thumbnail on the back cover. 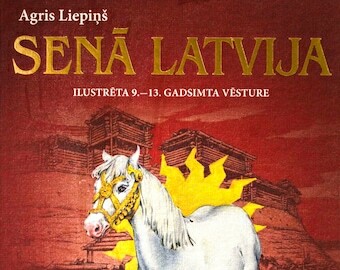 Full caption text in both Latvian and English. Kalendārā iekļautas 12 etnogrāfisko jostu fotogrāfijas. Attēlus papildina Anetes Karlsones jostu apraksti. Pilns teksts latviešu un angļu valodās. 30cm x 30cm x 0.5cm (11.8" x 11.8" x 0.2"). 305g. Publ. Latvijas nacionālais kultūras centrs (Centre for Latvian National Culture) 2019.